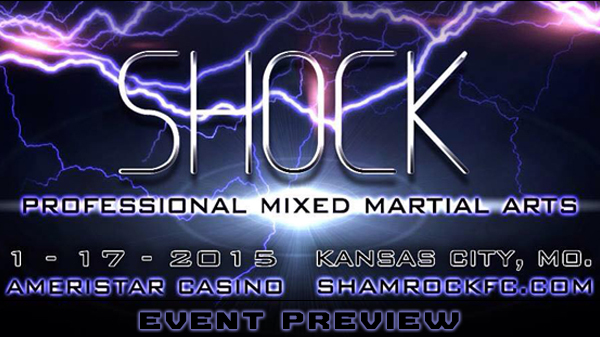 Shamrock FC is coming out firing in 2015 with their first event of the year. Sursa will challenge World Series of Fighting and Bellator-vet Kelvin Tiller (6-1) for the promotion's 205-pound title and a guaranteed contract with Bellator. This could be Tiller's chance at another run with the promotion, and for Sursa a chance to shine on the national level. The 32-year old Sursa returns to Shamrock after an emotional first round KO over Matt Uhde at at "Destruction" in November. Since that bout, Sursa battled Joe Yaeger in a five-round war at Rage on the River. Sursa has face some talented fighters including Trevor Prangley, Steffan Struve, Eliott Marshall, and Alan Belcher. With over 23 pro fights, the experience edge goes to Sursa, but Tiller is very talented and should be considered the favorite to take home the belt. Sursa has the power to end the fight quickly and violently, but give the edge to Tiller if it turns into a wrestling match. St. Louis' Josh Weston will travel west on I-70 to take on local KC legend Rudy Bears in the main event. Bears has done it all, and fought everyone. A few of the names that he has locked horns with include: Tyron Woodley, Paul Daley, Zak Cummings, and Jason High. Bears was victorious in the main event of "Impact" in July, a fight Shamrock President Jesse Finney has labeled "one of the best fights he's ever seen." Weston is a solid wrestler and will look to grind out a victory, that is if the wily Bears can't pull something out of his bag of tricks. Sometime-boxer Jacob Akin will challenge "The Hard Hitting Hillbilly" Kevin Croom for the Shamrock bantamweight title. Croom recently had a eight-fight win streak snapped by Jesse Brock and will look to get back on the winning track. Croom had six first round stoppages in that streak, and boasts a 14-6 record and has fought for Titan, RFA, and the Canadian promotion MFC. Akin (6-4) is on a three fight win streak including a victory over William Joplin in September. Akin has good stand-up and even better ground game as four of his wins have come by submission. Akin and Croom could turn into a tactical ground game, but then again, they could both decide to trade in which one will most likely go to sleep. Kendrick Latchman and Miles McDonald battle in a compelling flyweight battle, and Haracio Escobar and Steve Brown round out the professional main card. On the amatuer side, Steve Barbee will defend his "King of KC" title against Demetrius Wilson. Derrick Darling and Kyleb Collins will battle for the 155 "King of KC" title.